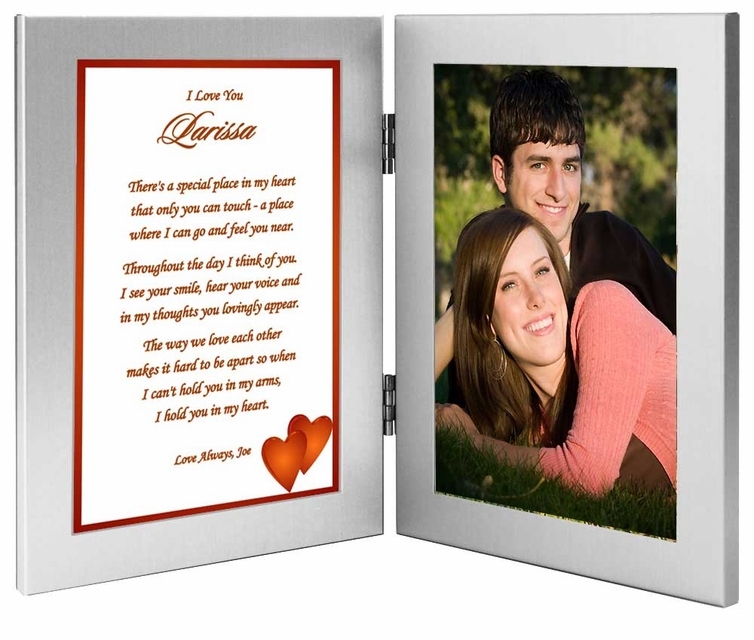 Anniversary or birthday gift - poem personalized for your husband, wife, boyfriend or girlfriend. Need a unique way to tell someone you love him or her? Here's a romantic way to tell someone special how much you care. 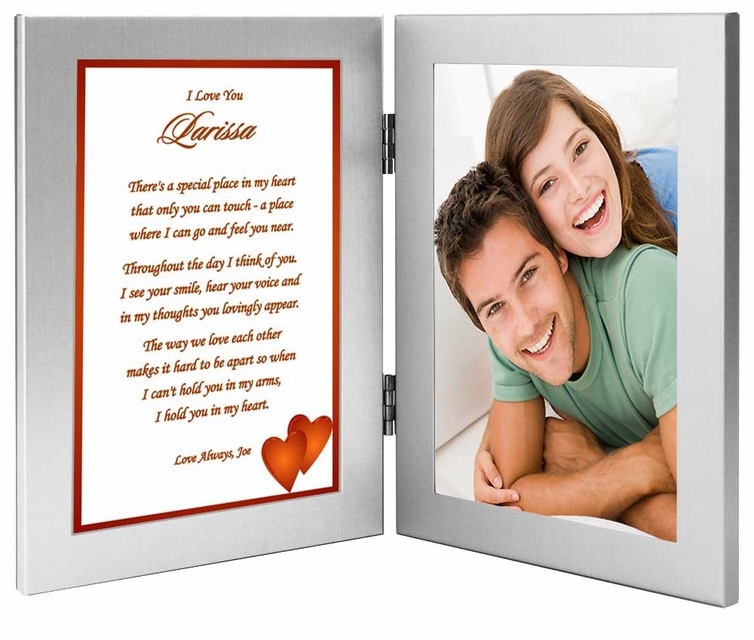 Let your boyfriend, girlfriend, wife or husband know how much you care with this personalized love poem framed in a double frame with room for a favorite photo. It makes a perfect birthday or anniversary gift although there is no need for an occasion, give it to your sweetheart anytime! 1. Phrase Above Name - Examples: I Love You; Happy Anniversary; Happy Birthday; etc. 2. Name - Examples: Tom; Jason; etc. 3. Closing Phrase & Your Name(s) as seen after poem - Examples: Love, Mary; Love Always, Cindy; etc. where I can go and feel you near. Throughout the day I think of you. in my thoughts you lovingly appear. Do you have your own poem that you would like designed into a unique Poetry Gift? It doesn't have to rhyme... you may just want to write down your feelings about a special occasion coming up or tell a special person how much he or she means to you. Click on the link if you would like to create your own Poetry Gift.